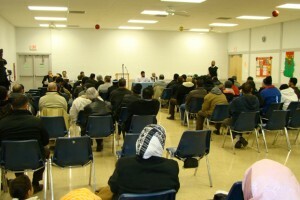 In Chicago at Hizb ut-Tahrir America’s July 2009 event, the pamphlet distributed by Hizb ut-Tahrir condemned efforts at “reforming Islam,” which Hizb ut-Tahrir also stated included “liberalising women” (page 5). Hizb ut-Tahrir also condemns efforts to promote “women’s rights and tolerance” as part of a “US plan” and a “struggle to reform Islam itself” (pages 10,11). 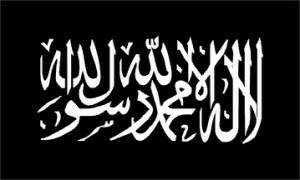 Hizb ut-Tahrir condemned a U.S. “Freedom Agenda” giving priority to “Women’s groups engaged in gender equality campaigns.” Hizb ut-Tahrir rejects equality and instead seeks to promote “equivalence” of men and women based on having “equivalent” obligations under its interpretation of Islam. In Hizb ut-Tahrir’s pamphlet distributed at the Chicago July 2009 event, it states that “Equality is not the basis of Islam and never has been in the history of Islamic jurisprudence. This is a term alien to Islam.” (page 64).